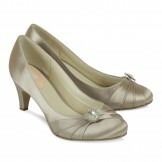 Now when it comes to the wow factor why not wear purple wedding shoes with your ivory bridal gown? 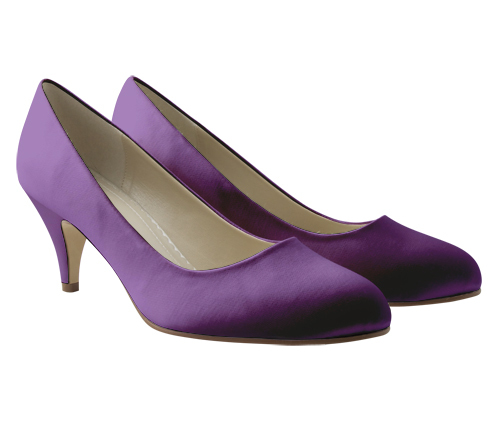 Perhaps your bridesmaids are in purple, so purple shoes would look stunning. Fabulous for evening wear, purple seems to be increasing in popularity but I think it's always been loved and never gone out of fashion. If you need a specific shade of purple, we can dye the majority of our ivory shoes, giving you purple shoes of any shade or tone of purple that you desire. Couldn't find the right style for you? Don't despair, we have a beautiful range of dyeable shoes which can be hand coloured to match your outfit perfectly. Just click here to search our dyeable shoe range and leave the rest to us. Find out more about our Shoe Dyeing Service.